Update: 3/31 :Students had great fun at the event. 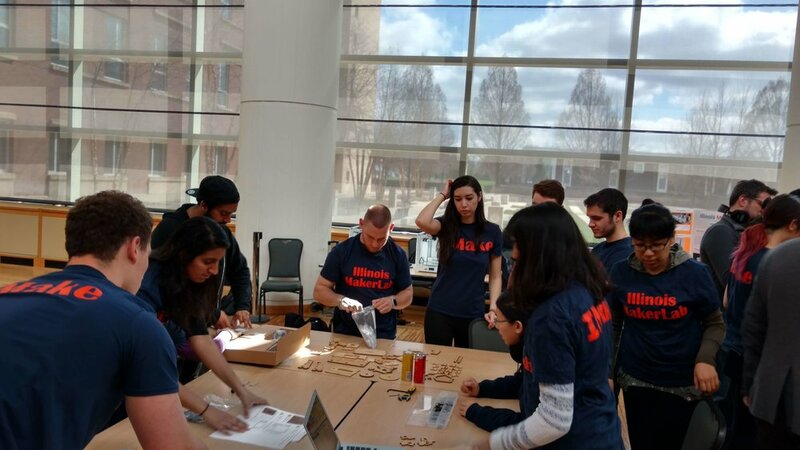 Some photos from the event below, and some coverage on the Daily Illini as well. 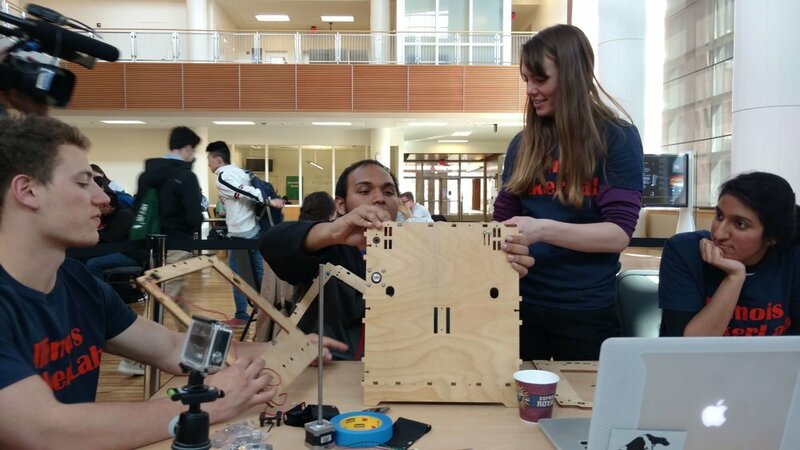 Join the #DigitalMaking 2016 students as they build a 3D Printer from an ultimaker original kit right in front of you. The event is sponsored by Ultimaker, who donated the kit, and the MakerLab. The event will be at the BIF Atrium from 3:00 pm to 8:00 pm, March 28th. 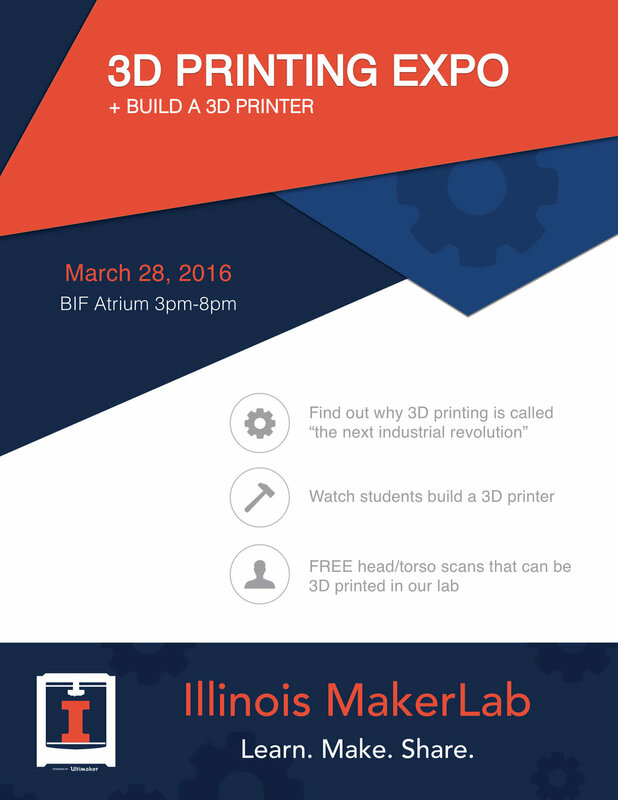 We will have 3D Printing and scanning demonstrations and some refreshments as well. You can even get a free print of your head/bust scan, if you get all the questions right on a 3D Printing Trivia Quiz. 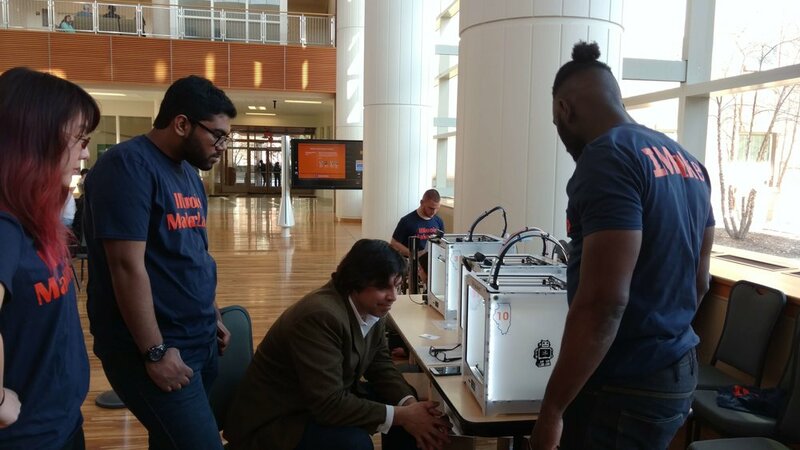 Find out all about the makerlab, sign up for some workshops, find out about our two courses, Digital Making and Making Things, and learn about our new 3D Printing online specialization . We will have Matt Griffin, the North America community manager from ultimaker with us to MC the event. Newer PostCelebrate your next birthday party with us!